There is no avoiding snow during the winter months in Alberta. In fact, it is practically a part of the landscape. A fresh snow fall can do a lot to change your perspective. Everyone likes to see snow-peaked mountains or frost-clad trees, but snow covered yards and properties as less appealing. When you are looking to clear-cut your winter wonderland, Red Deer snow removal and salting is the answer. Canadian weather is unpredictable – and that is saying it lightly! You might start the day off with a light dusting on the ground and go to sleep in a flurry. If you are having a hard time keeping up with weather patterns, how can you plan your snow removal techniques? Well, you can’t and that is why we have Gorillas! 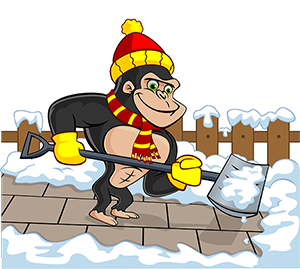 Instead of waiting until the 11th hour and scrambling to schedule our Red Deer snow removal and salting services, Gorilla technicians plan ahead. In order to bring our clients the best possible results for their space, our Gorillas monitor weather forecasts. If there is an upcoming storm front and snow is expected, Gorilla technicians suit up and prepare for battle. Whether it is early in the morning or late at night, our Gorillas are prepared for planned removal as well as 24/7 call-outs. Don’t worry, though! We understand the importance of a good night’s sleep and we have the tools to suit. When you are dealing with moderate to severe snow fall. shovels just won’t cut it. That is why our Gorillas are outfitted with all the right equipment for both residential and commercial properties. 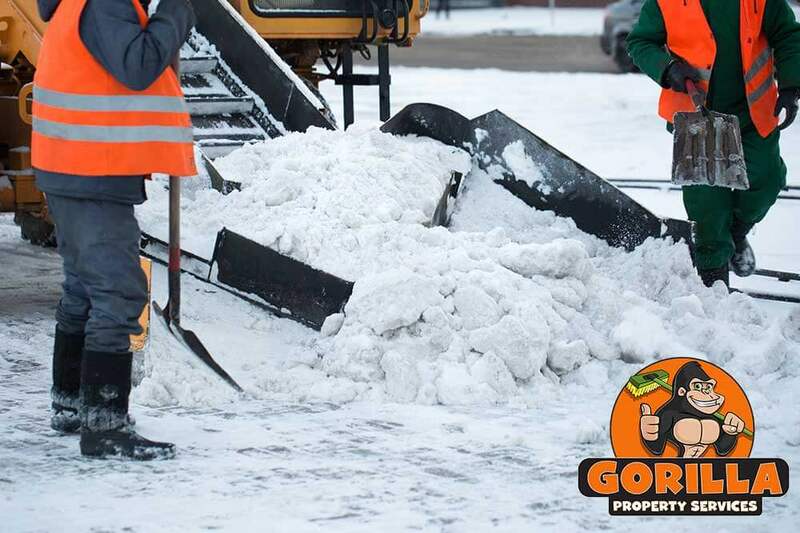 Whether you are dealing with a snow covered walkway or a parking lot, we have all the equipment to give your property all the attention that it deserves.